Printer Industry Blog » Blog Archive » Secure Fax—To Be Or Not To Be? Secure Fax—To Be Or Not To Be? “Fax? Really?” you may ask. Does anybody still use it? Yes, it’s true. In our very fast moving time of Internet services a fax still lives. 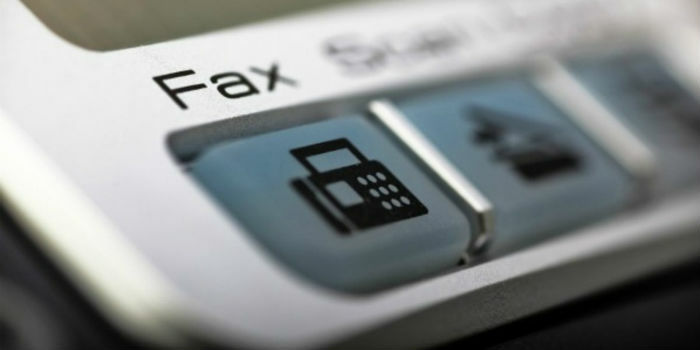 According to a research of Opinion Matters firm, 72% of U.S. businesses still rely on paper-based faxing. So, no matter the size of the company, there are standard fax machines and no security nearby. And do you know that nearly half of U.S. office workers admit to reading a document sitting on a fax machine intended for someone else? We should add here a fact that 23% of enterprises have suffered a data loss because of minor attention to the question. Documents are left unattended not only while they are scanned and sent to a PC folder or email, but also when they are stored on an unsecured PC or a mail server. The recent hack of Sony Pictures’ sensitive and proprietary data serves an evidence to this. But there is a means to solve all these problems at once. eFax Corporate – is a special solution providing reliable cloud-based faxing and document storage, meeting all the federal regulations such as HIPAA, GLBA and SOX in data privacy. It lets employees access inbound emails from a PIN-protected secure, send and receive faxes through the cloud—by email, through a password-protected Web interface or on a secure mobile app. The solution employs TLS-encryption for transmission, and 256-bit encryption while storing faxes in an email inbox. eFax Corporate solution is trusted by different businesses in the most heavily regulated industries and is now part of the support-driven Partner Program. According to the company, it’s a good way out not only in the corporate faxing area, but also in the business operation due to the new technologies applied. This entry was posted on Tuesday, March 17th, 2015 at 10:49 pm	and is filed under fax. "One Of The World’s Largest 3D Printers Called Bertha"